The best photographs are not flat looking. Like any good art, you want to see depth. Ideally, you have a a defined foreground, background and main subject. This gives the image a sense of realism and interest. We do this mainly with light. Back lighting or dimensional lighting, whatever it takes. 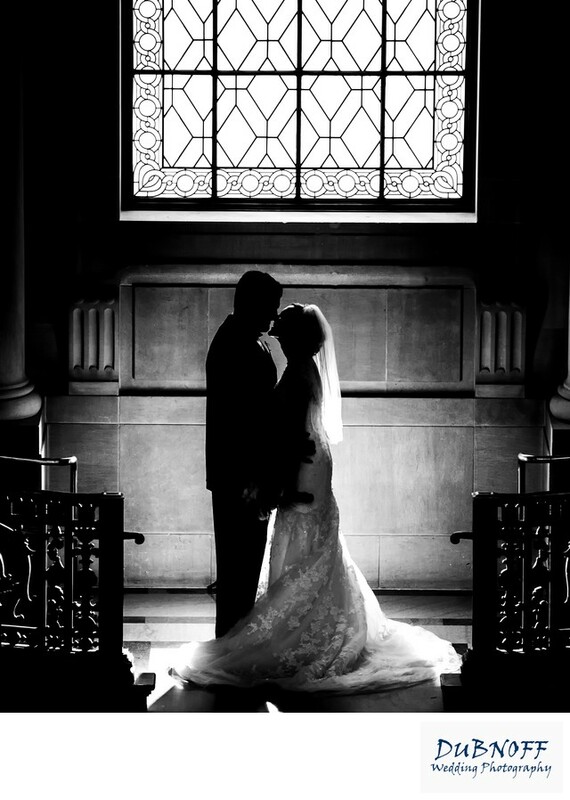 In this photo we put a light behind the couple to get some glow from the the veil. The window behind them also served to help outline the subjects with rim light. This helps separate the subjects from the background and adds depth.